The Series 9000 Prestige represents Philips Norelco’s latest addition to their high-end range of electric shavers. Launched in August 2018 at the IFA, the Prestige models complement the existing Series 9000 shavers like the 9300 and 9700. However, with a new design and new shaving heads, the S9000 Prestige is an entirely new shaver and not just a cosmetic makeover of the existing Series 9000 razors. Philips is so confident about the performance of their new flagship shaver that they call it their best shaver to date and also make some very bold claims, like its ability to shave a 7-day beard. Unsurprisingly, there’s a lot of hype surrounding the Prestige models, but a lot of confusion and questions as well. In this review of the Philips Series 9000 Prestige, we’ll put the shaver through its paces and test it in a variety of scenarios to find out just how good it really is. We’ll also compare it to the regular Series 9000 models and see how it stacks up against some of the razors from the competition. Wrapup — Who should buy the S9000 Prestige? The new Philips Series 9000 Prestige shavers come in several variations, some of the model names being region-specific. 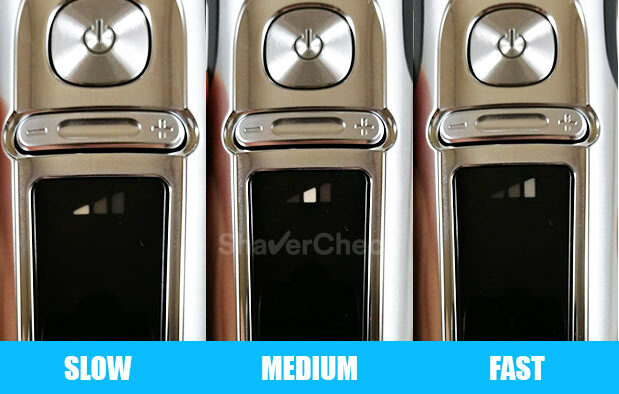 The shavers themselves are identical and the only differences between the models are related to the included accessories. At the moment of writing, the SP9860/13, SP9863/14 and SP9862/14 models appear to only be available in Europe. The only variation with a charging pad available in the USA is the SP9860/86 that comes in a darker silver shade called Chrome. My review unit is the SP9820/87 variation and I guess you could call it the base model since it comes with the fewest extras. I’ll simply refer to it as SP9820 throughout this post for the sake of brevity. After all, the only difference between the SP9820/87 and SP9820/88 is the inclusion of the cleansing brush in the case of the latter. In terms of shaving performance, all the shavers are absolutely identical. The S9000 Prestige models that come with the wireless charging technology (SP9860, SP9863, SP9862) don’t have a charging port and as a result, they can only be charged wirelessly via the pad. And since those models cost more and charging takes three times longer (approximately three hours), I would actually suggest you to avoid them and go for one of the other two instead. The first one is a simple trimmer that you can use for basic grooming, while the latter comes with an adjustable comb, allowing you to choose between 5 length settings. Again, the actual shavers are identical in terms of performance, so the differences only come down to charging (wired vs wireless) and included accessories. Let’s now take a very brief look at the highlights of the Series 9000 Prestige shavers. I will skip the marketing fluff and only list the really important features. While the previous Series 9000 models had really good build quality, the S9000 Prestige comes in a brushed aluminum finish that looks and feels exquisite (more details later on). The Series 9000 Prestige doesn’t use the SH90 shaving heads of the 9300/9700 or 8900 models. Instead, it comes with brand new cutters called SH98. In my opinion this is the change that had the biggest impact on the performance of this shaver. I will go into more details in the performance section of the review. It’s also worth noting that the rings surrounding the three cutters now have an anti-friction coating that should help the head glide easily over the skin. Just like the current Series 9000 shavers, the Prestige models allow you to choose between three different shaving modes. This basically alters the power output of the motor depending on your needs. For example, you could be shaving a portion with very coarse hair or a sensitive area like your neck. In my experience, this implementation doesn’t really work as it should, but again we’ll test it later on in the review. My Philips S9000 Prestige SP9820 came in a nice looking retail package and the whole unboxing experience really made me feel like I’m getting a premium product; so definitely a big step-up from other Philips models in this regard. If you think this is pretty disappointing considering the premium price tag of the shaver, you’d be right. The included accessories are a real let down. First of all, there’s no cleaning station. You won’t be getting one with any of the S9000 Prestige models, so that’s a real bummer. After all, this is Philips Norelco’s top of the line shaver and it costs a pretty penny as well. Still related to cleaning, there’s not even a cleaning brush included. Not a huge deal, but still it would have been nice to get one. Also, there’s no plastic cap and no lubricant either. On the bright side, the travel case is awesome. It has a very premium look and feel, it’s very sturdy and just oozes quality. My favorite part about the case is that it can accommodate the shaver along with the beard trimmer and the charging cord, so we can overlook the rather large size. Regarding the 1-year extended warranty, I tried registering my product using the link on the card, but that proved to be futile as the only S9000 Prestige I could select on Philips’ website was the SP9863. So if you bought the SP9820 as I did and you live in a country where that model isn’t officially available, well, you’re out of luck. I hope this is just temporary and they will eventually add the rest of the models as well. I will try again later on and update the post if anything changes. However, this offer is only available as long as you register your shaver within 90 days from the time of the purchase. Lastly, the user guide included with this shaver has to be the worst I’ve ever come across. There are no words, just pictures. And some of them aren’t particularly helpful. Fortunately, the user manual you can find online on Philips’ website is a lot better, so I highly recommend downloading that one instead. If you thought the Series 9000 Prestige looked good in press images, I’m glad to say that it looks at least as good in reality. Starting with the unboxing experience, it definitely feels like an upmarket product. The highlight of the shaver is of course the new metal body. 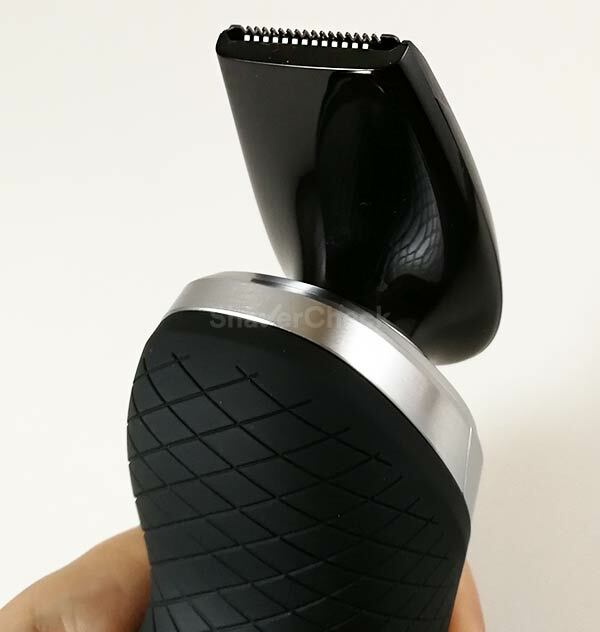 Precisely, the front part of the shaver (that extends to the sides as well) features a brushed aluminum finish. The area on the top, right below the shaving head has some really nice executed knurling that adds some visual interest and I think it looks great. The ON/OFF switch is also made out of metal and has this texture that makes it more grippy and easier to press. The rest of the glossy silver parts are made out of plastic, like the area surrounding the power button or the charging port. The front part of the shaver is where all the action happens. There’s a very prominent power button that also doubles as a travel lock switch. In order to activate it, you must press and hold it for 3 seconds. The display will even show a 3-second countdown, so that’s a really nice touch. 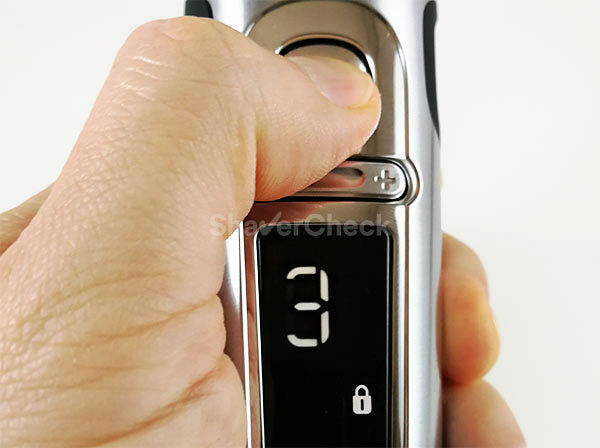 Once the travel lock is on, a small padlock will be displayed on the screen whenever you try to turn the razor on. To deactivate it you must obviously press and hold for 3 seconds, with the same countdown timer being displayed on the screen. Right below the power button there’s the +/- rocker that allows you to choose between three power settings. Unlike the ON/OFF button, this one is made out of plastic. The selected power mode will be shown on the display right above the battery charge percentage. The display occupies quite a bit of real estate on the front part of the S9000 Prestige, but it is nicely integrated from an aesthetic perspective. I was very pleasantly surprised to see that the display has this lift to wake feature, something similar to what some smartphones have. Yes, it’s maybe a bit gimmicky, but it’s also nice to know your shaver’s battery charge without turning it on. It’s a small touch that has quite a bit of impact and it’s genuinely useful. This feature was however a bit inconsistent on my shaver as it wouldn’t always activate the display, but most of the time it worked just fine. The back and the lateral sides are covered in this matte rubber-like material that provides a very secure grip. The shaver is very lightweight and despite having a substantial size, it fits really comfortable in the hand and the sculpted back allows you to wrap your hand securely around it. On the bottom we have the usual Philips charging port. 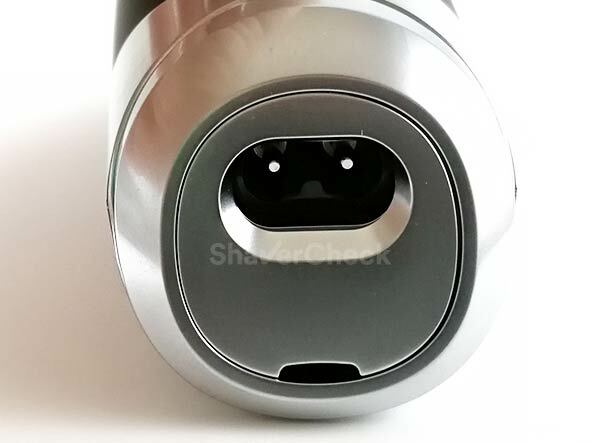 As mentioned previously, the models that come with the inductive charging technology lack this port completely. Overall, the build quality of the Philips S9000 Prestige is top notch. Now it’s time for some nitpicking. The plastic shaving unit feels a bit flimsy in comparison to the rest of the body. It’s not by any means worse than the ones on other high-end Philips models, but I was expecting a bit more. For example, with the Prestige series, they could have made the frame that holds the three shaving heads out of metal. Or maybe just the bottom half of shaving head. I wouldn’t even mention this in the case of less expensive Philips razors, but with this Prestige range, I don’t think it’s asking too much. Another minor complaint is related to the SmartClick trimmer. It is still not integrated into the shaver itself and you must first remove the shaving head, then snap it in its place. It is a bit of a hassle and you can of course misplace it or leave it in some hotel bathroom. Also, there’s a notch on the trimmer that must be aligned with a cutout in the shaver, so you can only insert it in one way. Same goes for the shaving unit, so definitely keep that in mind as you may damage the parts if you try to force them the wrong way. Finally, the trimmer looks and feels a bit cheap. I know I’m being petty, but there’s really not much to fault the Series 9000 Prestige with regards to build quality. All the Philips S9000 Prestige shavers are suitable for wet & dry use and as a result, they can only work cordless. If you try to turn on the SP9820 while it’s charging, you’ll hear a short beep and the shaver will prompt you to disconnect the cord by flashing a symbol on the display. Philips states that the rechargeable Li-ion battery can hold enough charge for approximately one hour worth of shaving time. In real life usage, this number tends to be a bit less. During my tests, I got approximately 50 minutes from a fully charged battery, which is actually perfectly in line with the rest of high-end razors from the competition. A typical shaving session will eat around 12% battery charge, at least in my case. This will of course vary depending on how coarse your beard is and how long it takes you to complete a shave. The battery charge status is probably the most useful I’ve seen on any electric razor. It shows the remaining battery in increments of 1%, which is way better compared to the 3 or 5 bar indicators found on other shavers. When the battery is almost empty, the indicator will turn orange and the shaver will beep when you turn it on. My review unit, the SP9820, came with a common charging cord and it takes approximately one hour to charge it from 0 to 100%. The models that come with the QI charging pad require a whopping 3-hour charging time and, again, they can only be charged wireless as they lack a physical charging port. This is highly inconvenient in my opinion. Yes, wireless charging can be useful, but only as a complementary method of charging a device. Imagine a smartphone that could only be charged wireless, I don’t think anyone would want that and for obvious reasons. You’re also giving up the 5-minute quick charge feature that requires the cord. 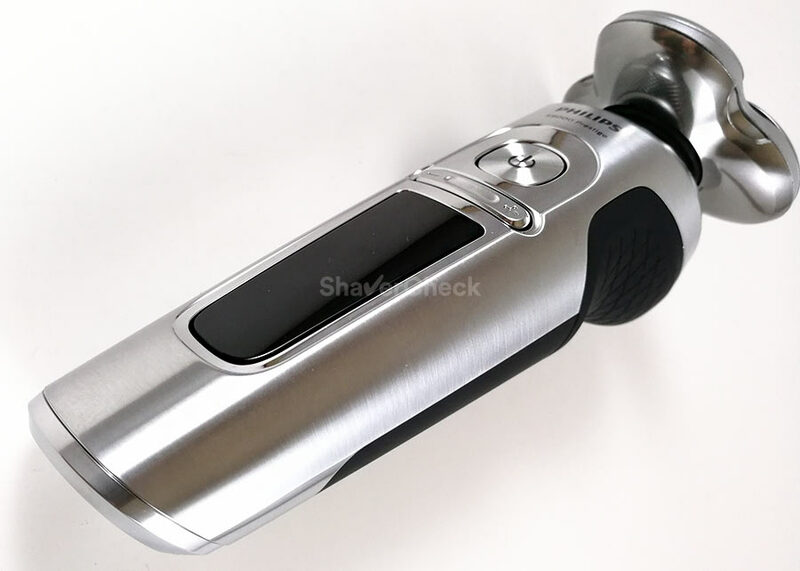 This will allow you to complete one shave when you’re in a hurry and your S9000 is out of juice. Factor in the higher price as well and I think we can conclude that SP9820 is probably the best pick of the Prestige series. The user reviews for the Prestige line on various websites have been overwhelmingly positive, which is a bit unusual for Philips’ top of the line shavers as they tend to generate very polarizing opinions. I was of course very eager to test one myself and see if it really is that good. So I bought the SP9820 and used it exclusively for three weeks, making sure to cover all the possible scenarios. The SP9820 model will likely be the most popular variation of the S9000 Prestige range due to its availability and lower price. Since the rest of the shavers are identical with regards to performance, this review will be relevant for those as well. There are a lot of important aspects to be covered here, so I’ll try to address everything, including comparisons with other models and hopefully help you decide if this shaver is right for you. 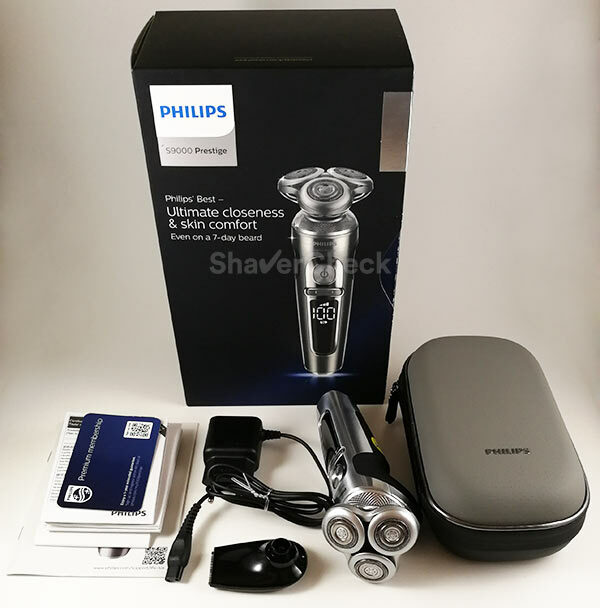 Spoiler: the Philips S9000 Prestige is a fantastic performer and I can say without hesitation that it is the best rotary razor I have ever used. 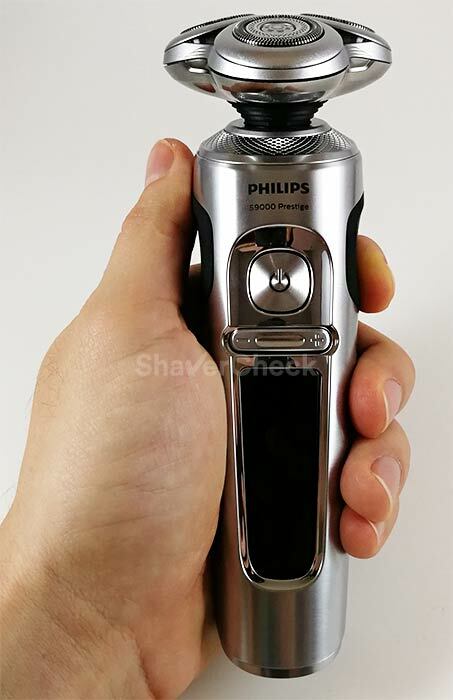 Without further ado, here’s my Philips 9000 Prestige review of the shaver’s performance. I structured all my findings into 6 relevant categories. How close an electric razor can shave is probably what interests the potential buyer the most. I have to admit that it’s one of the reasons why I always favored foil shavers over rotary. I just never managed to get satisfactory shaves despite my efforts, even with the Series 9000 shavers like the 9300. The new Philips Series 9000 Prestige is a big improvement in this regard. Using it dry for the first time was a pleasant surprise and the following shaves got even better. The closeness of the shave is subjective and also depends on your expectations and on previous experience with other shavers. For example, I would still get a slightly closer shave with a high-quality foil shaver like the Panasonic Arc 5 or a Braun Series 7. But again, the difference would be marginal and the SP9820 is clearly better than any other rotary shavers you can currently buy. If you’ve used rotary shavers before and you weren’t particularly happy with the results, I am pretty confident that this razor will not disappoint. It’s particularly good on the cheeks and on the neck as well, which is almost never the case for me when using rotary razors. On the chin and above the upper lip I could still feel a bit of stubble after a dry shave, but that’s again something that would happen with most other shavers as I have very thick hairs on those areas. Overall, I’d say that the closeness of the shave is very good and will easily satisfy most users. For me the most surprising thing about the SP9820 has to be the comfort of the shave. The improvement over the previous S9000 models is massive. It is the most comfortable and enjoyable rotary shaver I have used so far. I have very sensitive skin on the neck and shaving dry with any rotary razor would always result in irritation and rashes. But that wasn’t the case with this one except for some minor stinging immediately after the shave. When used together with a pre-shave lotion (Freelette or Speick are my personal favorites), the experience was actually great. For me, the main problem with other rotary shavers was the constant stinging and pinching I would get during the shave. I blame this on Philips’ double blade design that would pull and then cut the hairs. It wasn’t particularly efficient for closeness and definitely affected the comfort of the shave. That was the case with shavers like the 9300, 9700 or 8900 (and of course other entry-level models). 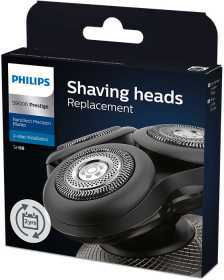 With the Prestige line, Philips introduced new shaving heads that don’t feature the double blade design anymore. 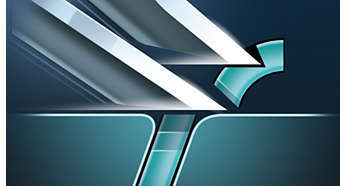 There are two concentric rows of blades (corresponding to the slots and the tracks on the combs), but this time around there’s no double edge per blade. The improvement in comfort is obvious. Compared side by side with the Philips 8900 for example, the S9000 Prestige is a lot better. There’s just no comparison between the two. And because the comfort was vastly improved, this can indirectly affect the closeness as well. For example, I am able to be more thorough and even press just a bit harder and get a really smooth shave. Doing anything like that was out of the question with any other rotary shaver. I can even recommend the SP9820 to men with sensitive skin, especially when used with a pre-shave or a nice shaving cream. I would personally still choose a Braun Series 7 or 9 as those are the most comfortable electric shavers out there, but again, the Prestige line is now miles ahead of any other rotary shavers when it comes to comfort. Philips touted on numerous occasions that the Series 9000 Prestige models can shave a 7-day beard, which is a very bold claim. I initially didn’t think this would be possible without significant compromises to one’s overall shaving experience. Most electric shavers work best on short facial hair. Trying to shave a long beard will almost always cause the razor to pull and yank the hairs and to miss a lot of them, resulting in a very poor and lengthy shave. Yes, rotary shavers are generally better than foil-based machines at shaving long whiskers, but 7 days would really be pushing it. Well, I’m glad to say that it’s definitely doable with the Philips Prestige models. I was able to shave a 5-day beard with my SP9820 without much trouble. I only experienced a couple of hairs being yanked, but that was mostly my fault as my strokes were a bit too fast. My beard grows back pretty fast and if I could get a very good shave after 5 days, I can definitely see someone pulling it off on a 7-day beard. The Philips S9000 Prestige is therefore very impressive at shaving long, flat-lying hairs. It will also work great for African American men that have very wiry hairs. The combs of the SH98 shaving heads feature very wide tracks and this makes them very efficient at capturing long hairs. For someone that shaves irregularly, this electric razor would be a fantastic choice. The flexing of the three independent heads helps maintain contact with the skin and the shaver is very effective at capturing the hairs, even those that grow in different directions. The head glides smoothly on the skin as long as it’s perfectly dry. As soon as there’s any moisture or sweat present, it will start to hop and stick to the skin, despite the manufacturer’s claim of using some fancy metallic pigments on the rings surrounding the metal guards. In my case a pre-shave lotion reduced this problem to a minimum, so if you live in a humid or hot area or your skin tends to be greasier, I highly recommend using one. The trend with the latest electric shavers, especially the high-end models, is to include some technology that adjusts the speed of the motor, be it automatically (for example, the latest Panasonic Arc 3 and Arc 5) or manually (Braun Series 7). The idea behind this is to make the razor more comfortable when shaving sensitive areas and also to deliver full power when needed. Conceptually, this sounds really good. But in reality, we are yet to see this work as it should. And it’s the case with the Series 9000 Prestige as well. There are three speed settings: low, medium and high. Using the low and medium modes will just make the S9000 feel a bit slower, without actually improving the comfort in any significant way. Therefore I only shaved in high power mode and the results of this review were obtained using the shaver with the high power setting selected. When cycling through the three modes you will clearly notice a change in the tonality of the shaver. The high power mode produces a higher pitched whine, while the other two cause the razor to produce a lower frequency noise. The intensity of the sound remains pretty much the same for all the three modes. Speaking of which, compared to other rotary shavers, the Philips S9000 Prestige is a bit louder. The sound is more whiny and metallic, but it’s still nowhere near as loud as a foil shaver. In my opinion it remains adequately quiet even during use. In conclusion, the speed settings are more of a gimmick, but that’s hardly a surprise. The Series 9000 Prestige from Philips has an IPX7 rating, meaning the razors can be submerged in water up to 1m deep. This makes them suitable for shaving in the shower or optionally with your shaving cream or gel. I never really fancied shaving in the shower, so I only tried my SP9820 with shaving cream. And it works really well overall, as long as the lather is properly hydrated. As soon as it starts to dry, the shaver will just get stuck. So make sure to keep it slick and watery. I simply wet my free hand and just run it over the area that I’m currently shaving. Using this shaver with cream will likely be better than a dry shave — at least for me it was, but the results were very similar to a dry shave with a pre-shave lotion. And this latter method was actually my favorite way of using the S9000 Prestige. One thing worth mentioning is the so-called BeardAdapt sensor that according to Philips checks the hair density 15 times per second and adapts the shaver to your hair. I actually haven’t noticed it at work until I shaved with cream and the razor would change its speed on the fly. This feature is different from the 3 modes that you can set yourself the way you want. I never noticed it during a dry shave, so my guess is that the cream/lather confuses the sensor and doesn’t really know what to do. I’ve seen the exact same behavior with Panasonic shavers, also during a wet shave. This didn’t affect the performance, but I thought it was worth mentioning. To me it’s just another gimmicky feature that never seems to work as it should. 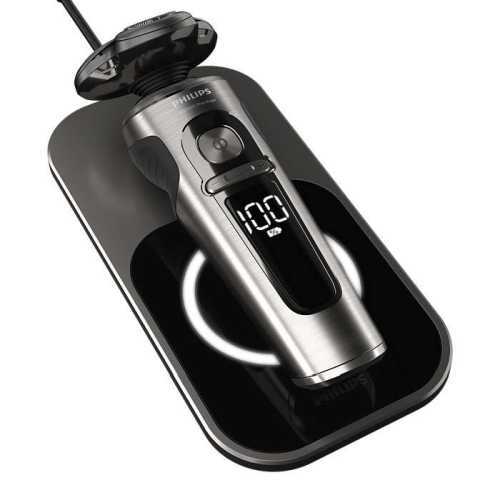 The attachment included with the SP9820 model from the Series 9000 Prestige is the basic precision trimmer and not the beard styler that comes with the more expensive models. In order to use it, you must first remove the shaving unit and insert the trimmer in its place. I very much prefer the integrated trimmers, but Philips only uses them on their lower-end models. As for the performance of the SmartClick Precision trimmer, well, it’s pretty average at best. It’s very thick, which makes it uncomfortable to use, but most importantly, it just doesn’t seem to cut the hairs efficiently. I had to do lots of passes just to straighten and adjust my sideburns and I still had to finish up with a different trimmer. If you really try hard enough and hold the trimmer at a sharp angle relative to your skin you will eventually manage to get a somewhat decent result. But overall, this particular trimmer is mediocre at best. It’s nowhere near Panasonic trimmers which are in my opinion the best. 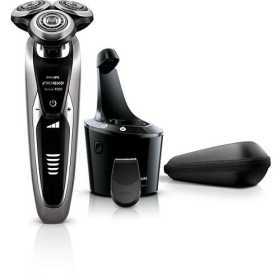 The beard styler that comes with the other Philips Prestige models is more useful and also includes an adjustable comb. My Philips 8900 came with such a trimmer and that one was pretty good. I’ll be perfectly honest and tell you that the lack of a cleaning station was the biggest bummer for me with the Series 9000 Prestige. I know that in certain situations — for example, Panasonic shavers are dead easy to clean — a station is not really necessary. However, I would very much rather have one with a Philips Norelco shaver. And I could have overlooked the omission of the cleaning base if it wasn’t for the hefty price tag of the S9000 Prestige. But it is what it is. No cleaning station means that you’ll have to resort to manually cleaning your Prestige shaver after every use. First, there’s the regular cleaning operation that only involves rinsing the shaving head under tap water without taking it apart completely. Once you’ve finished shaving, rinse the head of the razor under warm tap water. Remove the frame that holds the three cutters and rinse the inner part of it. Do the same with the hair chamber (the bottom part of the shaving unit). Shake off any excess water and let the parts air dry completely before putting the head back together. You may also very gently pat them dry with a paper towel. That’s pretty much it and in the case of using the shaver dry, you can get away with this quick cleaning routine for up to a month before the need of a thorough cleaning. 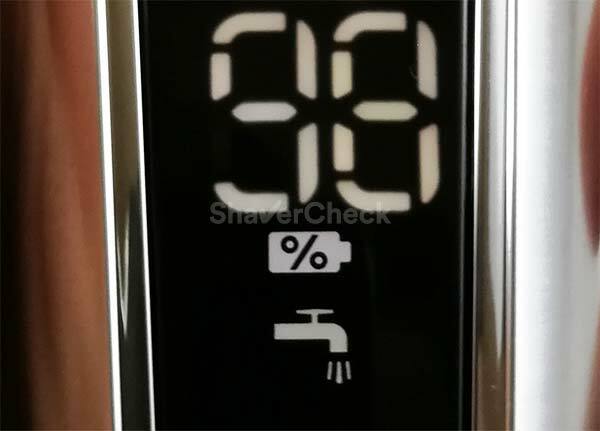 Also, the shaver will remind you to clean it after every use by flashing a faucet symbol on the display. If you also use shaving cream or gel, I would strongly suggest using a bit of liquid soap: apply some water on the shaving head, then pour a few drops of liquid soap over the three cutters and let shaver run for 10 to 15 seconds. Rinse it thoroughly under tap water, then remove the front part of the shaving assembly and rinse the inside as well. This is necessary because hardened shaving cream and lather can accumulate inside the shaving unit and it’s a real pain to remove later on. An alternative to liquid soap would be to use a cleaning and lubricating spray like the Remington Shaver Saver or any other brand that was specifically formulated for electric shavers. This would sum up the quick cleaning of your Philips Series 9000 Prestige. Every month or so, Philips recommends performing a more thorough cleaning. This operation implies taking apart each of the three cutting heads. First, remove the top part of the shaving unit that houses the cutters. Rotate the blue retaining rings counterclockwise to gain access to the cutting blades and combs. I highly suggest performing this action one cutter at a time. This is very important as the blades and combs are matching pairs and mixing them will likely affect the performance of the razor. After you’ve removed the circular blade and the metal comb, rinse them thoroughly under warm tap water. You can also apply some lubricating spray after the parts have dried. 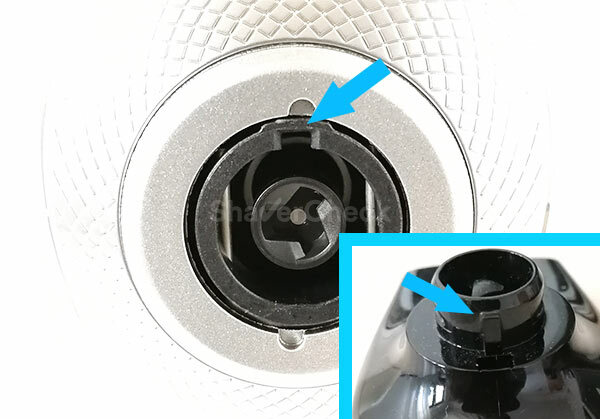 You can now place the guards and blades back into the socket and secure them by turning the retaining ring clockwise until it locks into place. Repeat this process for the other two cutting heads. As you can see, this operation is kinda fiddly and time-consuming and a cleaning station would have been a welcome addition. And you can’t really skip cleaning your electric razor because dirt, dead skin cells and fine hair clippings will remain trapped inside the cutters. If you fail to perform this in-depth cleaning at least once a month, it will eventually affect the performance of the razor and it will be bad for the hygiene as well. Overall, cleaning the Philips Series 9000 Prestige is pretty much the same as cleaning any other Philips razor that doesn’t come with a station. The only difference is that in this case the price simply doesn’t justify leaving the station out. 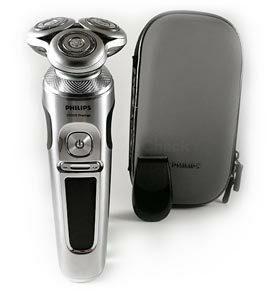 The Philips Series 9000 Prestige uses new shaving heads that were specifically designed for this series. The new cutters have the part number SH98 and as it’s usually the case with newly released electric shavers, they are pretty difficult to find, at least at the moment of writing this review. They appear in the listings of several online stores, but seem to be out of stock. I wouldn’t worry too much about it as this situation is pretty common and the replacement heads will eventually be available, probably sooner than later. The price should be slightly higher than Philips Norelco’s other premium shaving heads, so not exactly cheap. The good part is that they appear to last a lot longer than most other heads. Philips even recommends changing them every two years, which is twice the industry average. There is some conflicting information about this though; according to the user’s manual, you should replace the cutters once a year, while the product page on Philips’ website states that they must be changed every two years. I tend to think that the latter is the correct one, but I guess only time will tell. This will of course depend on many factors like the frequency of use and the coarseness of your beard. As mentioned in the performance section, I think these new cutters are largely responsible for the excellent shaving performance of the SP9820. The reliability of the blades is a different story though and it’s too early to draw a conclusion. But the signs are nevertheless encouraging. As far as rotary shavers go, the Philips Series 9000 Prestige is a beast and arguably the best you can buy right now. And I’m referring strictly to shaving performance as value for money is a pretty different story as you probably guessed by now. But getting back to the performance part, out of all the Philips razors I’ve used, this one exhibits the fewest rotary-specific problems. The comfort is more than adequate and it shaved closer than I was expecting it to. It’s very impressive at shaving longer beards and almost in a class of its own. The Braun Series 9 is the only foil razor that can try to match it in this regard. And I think this is when you would benefit from this razor the most: if you tend to shave less often, like every 5 days, you will really appreciate it. The Philips S9000 Prestige still wouldn’t be my first option for someone with very sensitive skin, but I think most users will be fine. Also, if you want the closest possible shave, the Panasonic Arc 5 is still the one to have. But keep in mind that the Panasonic is nowhere near as good at shaving longer, flat-lying hairs. So only consider it if you’ll be shaving often (every two days at most). If you’ve used rotary shavers in the past, this one will likely be a worthy upgrade from your current shaver. This is a very obvious comparison. The regular Series 9000 offers much better value for money; they’re cheaper and also come with a cleaning station. So should you get those instead? Also, if you already own a Series 9000, should you upgrade to a Prestige model? Well, the main difference between a Philips 9000 and the newer Prestige is in my opinion the comfort. The models in the Prestige line are a lot more comfortable and mainly due to the new blades. The closeness is pretty similar, but again you could get a closer shave with the Prestige razors simply because they’re more comfortable (this was actually my experience). If you already own a 9300 or a 9700 and you don’t have any major issues with skin irritation or discomfort during the shave, I think you shouldn’t upgrade. If you’re looking to buy your first high-end rotary shaver, the S9000 Prestige is the best out there right now, but the price is also very high. I would personally choose a Prestige model since I have sensitive skin and in my case it’s worth paying more (even though I won’t be getting a cleaning station). If that sounds like you, consider the Prestige line. Otherwise, stick to the regular Series 9000. Which brings us to the alternatives section. As stated previously, the regular Series 9000 shavers are cheaper and offer better value for money. The 9300 model is usually the best pick due to its lower price. You’re really not getting any significant benefits from the 9700, so only consider that one if you can get it for the same money. If you don’t have sensitive skin, the 9300 or even the cheaper 8900 will probably be good enough. The Series 9 9290cc usually costs less, it’s more comfortable and in my opinion shaves a bit closer than the Series 9000 Prestige. It’s also really good at shaving longer, flat hairs and comes with an excellent cleaning station. If you’re not set on getting a rotary razor, I think the Series 9 will be a safer choice for most users. I was really looking forward to your review of this shaver. Spot on as usual. Really good review!!! I have a version that comes with the Qi charger and I have to say you are not missing out on anything. It’s definitely a bit of a let down. Yes, indeed it does take 3hrs to charge it from flat, however I think the idea is to always keep the shaver on the charger after each shave to dry, which effectively tops up the charge too. Qi charger is a gimmick in my opinion and arguably a poor reason by Philips to keep the price so high. In Australia, this shaver retails for $699!!!! Worth mentioning is that Qi charger gets scrached easily and looks quite worn out after couple of months. Also, the travel case is really nice, definitely high quality, however it is very bulky and not practical for frequent short term travels, i.e. business trips. 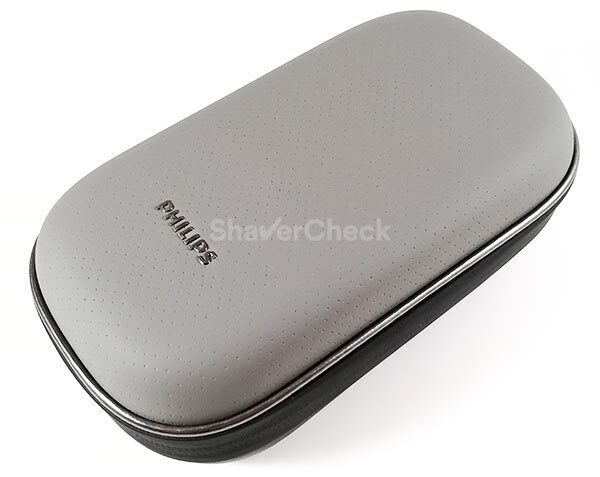 I say this as you have to carry everything in the travel case since there is no separate case just for the shaver – only this bulky one that stores a Qi charger, click on accessories, and the shaver. Shaving performance wise, this is a superb shaver. Definitely the best rotary shaver on the market. But, it is just not for my face… After using this shaver for 2.5months I’ve made a decision to claim my money back since it comes with the 90 day money back promotion. Ingrown hair, redness, and discomfort being the main reasons. You can achieve super close shave with this shaver but it takes time to get there. I had to spend >10mins shaving to get nice clean shave. And then manual cleaning which takes a bit as well. The lack of the cleaning station is a big letdown for me. You don’t immediately notice the lack of a cleaning station convenience until couple of months later you realise how tedious manual cleaning can be. Unlike Panasonic Arc5 which has manual cleaning mode that takes 20 seconds, Prestige shaver needs much longer. I also found that dry shaving was not great, particularly as the face starts sweating and shaver starts bumping along the face. The metallic coating did not make much difference to me. After these 2.5 months I pulled my Braun 9 from the closet and got amazed just how quick/efficient it is. It takes me <3mins to do a wet shave, rinse the shaver under the tap water and pop it on the cleaning station. Super clean and comfortable shave too. Little hard case that comes with Braun 9 is also perfect for travelling – small and you can pop it in any bag. I’m aware I sound quite negative, but this shaver is definitely not suitable for my sensitive skin. For the rotary shaver lovers this is an amazing shaver. Super close shave, quiet operation, great build quality, lightweight, and ergonomic. Definitely go for the non Qi charger version. Thank you for the detailed and excellent follow-up. I can totally relate to your experience since I’m a foil guy as well and I’d go as far as saying that for most users, a foil shaver will be the safer choice as well. Just like you said, for rotary razor enthusiasts, the S9000 Prestige will be a delight to use — if they can overlook the shortcomings (the price and the lack of a cleaning station). So at least for now, Philips still hasn’t won me over with their rotary shavers. You can use the smart cleaning station from series 9. I got the prestige model and kept the smart cleaning station. Works well. I don’t think that Phillips advertised that and only assumed since it’s a cleaning station for series 9 shavers. That is correct, I can confirm that it also works with the cleaning station of the 8900 (S8950/90). Unfortunately this will only be useful to users that already own a Series 9000 with a cleaning station like 9700 or 9300. I just bought a 9000 prestige and just came across your comments that you can use the cleaning station of previous models. So which cleaning station should I buy exactly? The S9000 Prestige itself is NOT compatible with any cleaning station. 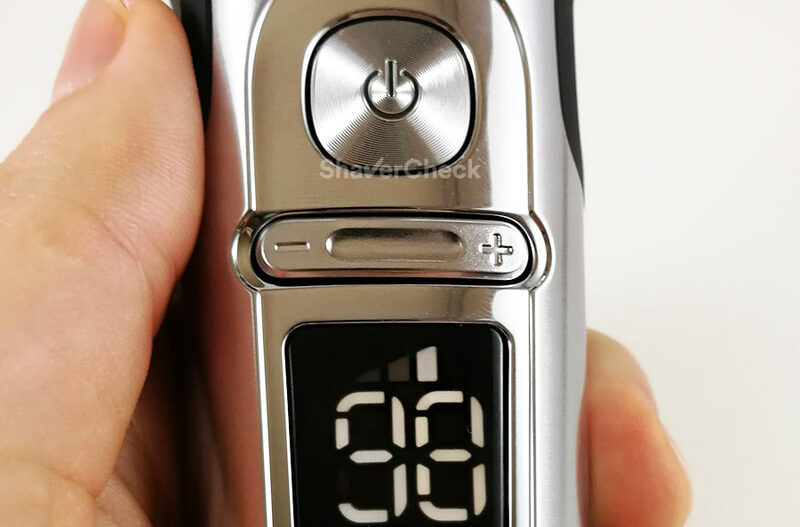 However, if you also own a regular S9000 (like the 9300 or 9700), you can insert the shaving head of your Prestige into the body of the S9000 and simply use it to clean the shaving head of your Prestige shaver. So this fix will only work for Series 9000 owners as it requires both the S9000 shaver and the cleaning station. Hope this makes sense. Thanks for the info. So just confirming, is the 9000 Prestige model compatible with the cleaning station of the previous model i.e 9000 model? Many thanks Ovidiu. By the way I tried the prestige both dry and wet and my experience so far is pretty good. What I found is the closeness of shave depends a lot on your technique. The first few days I was only doing clockwise circular motion but now I do clockwise, anticlockwise and at times a bit up and down motions and getting results as good as my braun series 9. You are very welcome, Murad. Yes, that’s definitely the way to use a rotary shaver — circular motions are only one part of the technique required in order to get a decent shave. Glad to hear you’re satisfied with the performance of your Prestige. Just learned something new today about the blades of 9000 prestige. I mixed up the blades while doing a thorough cleaning. Then I read in the manual that you have to clean it one blade at a time as they have matching combs. So I called Philips and they told me that if you mix the blades, it may take up to two weeks to get the optimal results as your beard needs time to adapt but the thing is that the blades will sharpen with use as they are self sharpening, which is the reason why it takes up to two weeks for your beard to adapt. Thanks for taking the time to share this, Murad. The main downside of mixing the blades is in my opinion the increased wear of the blades during those two weeks. Because the edges of the blades don’t sit perfectly flush and flat inside the combs, some of the metal will simply be shaved off due to the increased friction. So it’s not actually the beard adapting, but the blades. I don’t think mixing them just one time will have a large impact on the lifespan and performance of the blades in the long run, but it would be best to avoid it in the future. Thanks Ovidiu. Yes you are absolutely right. I own a series 9000 shaver. Does this shaver’s motor different than the 9000 one rpm wise? If they have a pop on trimmer can the shaving head be interchanged like the trimmer? I mean if the heads can be interchanged like the trimmer then is it worth buying the prestige because if the motor is identical & the rpm is the same changing the head can do the trick if Philips sells the whole head assembly. Thank you for the review, appreciate it. Regarding the speed of the motor, I do not have any official data, but to me they seem very similar. Even if the one on the Prestige models is a bit faster, I think the difference will be negligible during actual use. You are right, the shaving heads are the ones that have the biggest impact on the shaving performance. 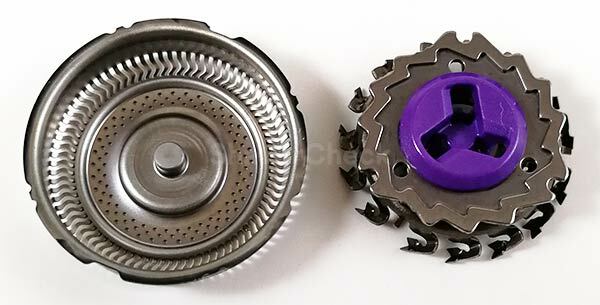 The whole shaving units are interchangeable between the Series 9000 and Series 9000 Prestige and to my surprise, the heads themselves, meaning the SH98 comb & blade pairs of the Prestige, will also fit. I tried them on my S9000 and even though it was a tighter fit for the combs in those plastic holders, the retaining rings still snapped perfectly into place and everything seemed to work just fine. I haven’t shaved with it though. So I think yes, this could be a viable solution to upgrade a Series 9000 and get most of the benefits of the Prestige line. I don’t know if Philips also sells the whole shaving head for the Prestige, at least I haven’t seen any yet (that would be a safer approach to this). We all know that none of the Series 9000 Prestige models come with a SmartClean station, but I’ve discovered that you can pop the head off the Series 9000 Prestige, put it on the old Series 9000 body, and then put it in the SmartClean station to clean it. Of course, the Series 9000 Prestige body will need to be charged separately, but for those who have an older Series 9000 with SmartClean this will hopefully be a useful tip! Thank you so much for your comment, I really appreciate it. That’s actually a fantastic tip for Series 9000 owners. I hope you’ll enjoy using your new shaver! Thanks for your article Nicolae. I have the same shaver, and I want to ask you. How do you think , can I use with this beast)) Pre-Shave oil such as Clarins or Truefitt&Hill. I haven’t used mine with a pre-shave oil, so I cannot say how well it will work. There’s always the possibility that a pre-shave oil may clog the shaver and thus have a negative impact on your results. The only way to find out is to actually try it. I personally don’t use pre-shave oils with my electric razors because they tend to be messy and more difficult to clean. Congratulations for amazing review! I never seen so usable and helpful review about technical product. (Excuse me for my bad english). I have series 9000 Braun and Philips, and both are working superb for me. I have only dry shaving. Braun 9000 have a good cleaning station; after every shaving I use it. Is it enough for good condition, or it is prefferable to clean adittionaly with spray? My Philips 9000 have not cleaning station. I clean it with special cleaning liquid from Philips-in large cup put 2 cm of liquid, leave the shaver head in it for 10 min and few times activate motor to rinse heads. This is “my method” and I practice it two times monthly. Of course I rinse with water the head after every shaving. After riding your review I think that tomorrow will buy one Prestige shaver:-)))). I love this toys and feel as collectioner of some special arts. If you use the cleaning station with your Braun Series 9 there’s no need for additional cleaning. I would get a spray only if I were to clean it manually (with soap and water). Would recommend either a Braun Series 7 or 9 shaver, and this new Philips Series 9000 Prestige shaver for beard growth of up to a week, and would you also recommend the Panasonic ES-LV9Q or LV6Q 5 for up to a few days growth? Would you also recommend a Panasonic for men who have non curly beard growth, whilst both the Braun and Philips shavers are better for Middle Eastern, African or Afro Caribbean beards? As you may have observed, these ethic groups tend to suffer with razor bump, due to the way in which their facial hair follicle is growing from beneath the skin. Out of all foil shavers out there, the ones from Braun are the best in my opinion for shaving longer hairs, the Series 9 in particular being very efficient. One week would really be pushing it, but it could be done with decent results if the facial hair doesn’t grow too fast. The Series 9000 Prestige, being a very capable rotary razor, works arguably better for longer facial hair than a foil shaver. But it does come with a couple of potential drawbacks also mentioned in the review (comfort and closeness). While it is better than its predecessors, I think for most users the Series 9 would be a better choice. Again, one week is very long and electric shavers are designed to be used on short facial hair. The Panasonic ES-LV9Q/ES-LV6Q will work best on straight, short beards — I’d say 3 days being the upper limit (depending on the beard growth). So yes, they would be suitable for men with non-curly beards and for frequent use. For men that suffer from razor bumps and ingrown hairs, Braun shavers are the better option. They are more forgiving and gentle than Panasonic shavers that tend to be pretty aggressive and can even make things worse in the case of razor bumps. I actually have a 6 year old Panasonic ES-RF31 Arc 4 shaver, which I found to be both blunt and abrasive on my face. I never used this shaver more then a dozen times to date because of this shaving experience, but I am trying to understand what the difference between my current Panasonic shaver is compared to that of the Braun Series 7 or 9 for instance. It seems that with the exception of the foil head on the latter mentioned shaver, and the various additional cutters or rollers on the newer Braun and Panasonic foil heads respectively, no one has categorically justified a real reason to spend upward of £300 or dollars on these newer shavers. My first electric shaver was when I turned 18 some 24 years ago, and it was a Braun which I found to be the best electric shaving experience I ever had. I even used it on my dying Grandfather in hospital before the foil ripped apart. I have also used what was known as a Philishave sports model in 2002, but this permanently scared my left neck area, under my jaw bone, because the rotary foils were too abrasive for that area of my face. I was hellbent on spending on the new Philips Series 9000 Prestige shaver in recent weeks, because I am an infrequent shaver, but your last response has swung me more towards the Braun Series 9. However I am not keen on a cleaning station as I think this is ultimately an unnecessary expensive running cost. However, I do accept that buying a cheap electric shaver can ruin your face and is not worth it in the long run. Indeed both my current Panasonic shaver, and my old Philishave shaver were cheap compared to what was on offer from rival brands. We need a fourth manufacturer, like Remington, to step up and make shaver that encompasses all the good functionality of the Braun, Philips and Panasonic shavers, so that it does not continue to become a trade off between power and comfort, or rotary and foil.. Your current Panasonic is one of the older Arc 4 models that was fitted with a significantly less powerful motor (10 000 CPM as opposed to the 14 000 CPM units found on other models like ES-LA63-S or ES-LF51-A). I’ve owned many Panasonic shavers and the ones with 7600, 8000 or 10 000 CPM motors performed poorly. Describing them as blunt and abrasive would be very accurate. So in my opinion you shouldn’t have to get the latest Arc 5 (the one with the golden rollers) to see an improvement. Even one of the Arc 4 models I mentioned or the ES-LV65-S should provide significantly better performance. The motors really make a difference in the case of Panasonic shavers. Braun’s take on this is a little different. They mostly use motors with a lower speed (around 10 000 CPM), but are very torquey and together with the cutting block they just work really well. The cleaning stations are not necessary in the case of Panasonic (and even Philips) shavers, but I usually recommend them with the Series 7 and 9. The models that come with the station generally cost just a bit more than the solo shavers and the costs associated with buying new refills can be minimal. For example, I only use the station once a week or even less and just clean my Series 7/9 manually in the meantime. This prevents dirt buildups inside the cassette and I save a lot of cleaning fluid by simply taking out the cartridge and putting the cap back on. I don’t buy Braun original refills as they’re expensive so I simply make my own solution using a third party concentrate that mixes with alcohol. In this manner the overall costs are negligible. All electric shavers have pros and cons, but I do think we have enough good options. It’s just that it can be overwhelming weeding out all the fluff and extracting the really useful information that can help you select a suitable shaver. Philips has a 90-day money back guarantee, so you could give the S9000 Prestige a go. I have been doing some further video based research on the Braun Series 9, and I came across a professional barber from America who had identified some structural failings on this shaver within the last 6-12 months. I have duly provided you with the specific YouTube links from a 6 month update he produced for this shaver, that he did just a few months ago. Do let me know your thoughts on this, as it reiterates what I had written to you above last week about a foil head breaking after a large amount of continuous use. 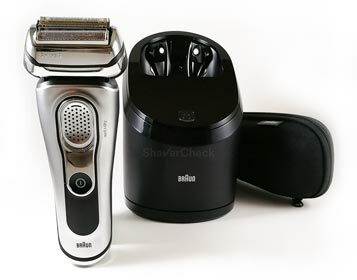 You have also noted on your own review for the Braun Series 9, that the build quality was a bit cheap in terms of its chassis compared to that of the Philips S9000 Prestige, and the latest Panasonic Arc 5 shaver. Thank you for providing the links. I don’t think his findings are very relevant to most Series 9 users. Precisely, the shaver in question was used daily by a professional barber in his shop, meaning a whole lot more than the typical user. I still cannot draw a definitive conclusion (I personally haven’t had any issues so far), but some cassettes do seem to fall apart prematurely. The frequency of use, as well as how the users take care of their shaver will also affect the lifespan of the head. Compared to the S9000 Prestige and the Arc 5, the Series 9 feels less solid and even cheap. In fact, even the second generation Arc 5 (ES-LV65-S) is superior in this regard. And this is bad mainly because you would expect more in this price range. I would be willing to overlook the plasticky body but not a potential design flaw of the shaving head. While there are definitely some reports about the failing Series 9 cassettes, I don’t think that’s the case, at least right now. Just to be on the safe side, the Series 7 is a really good alternative to the 9 and in most cases it will be more than suitable for the job. Hey Ovidiu, nice reviews. Do you consider the Panasonic ES-LV6Q to be a considerable upgrade over the Panasonic ES-LV95? I currently have the LV95 and am considering upgrading to the LV6Q but don’t know if it would make a significant difference. Thanks for any answer! Unless there’s something wrong with your ES-LV95, like the battery not being able to hold a charge anymore, I wouldn’t upgrade, at least not for now. The LV6Q doesn’t provide a massive performance bump, so I personally would keep using the LV95. 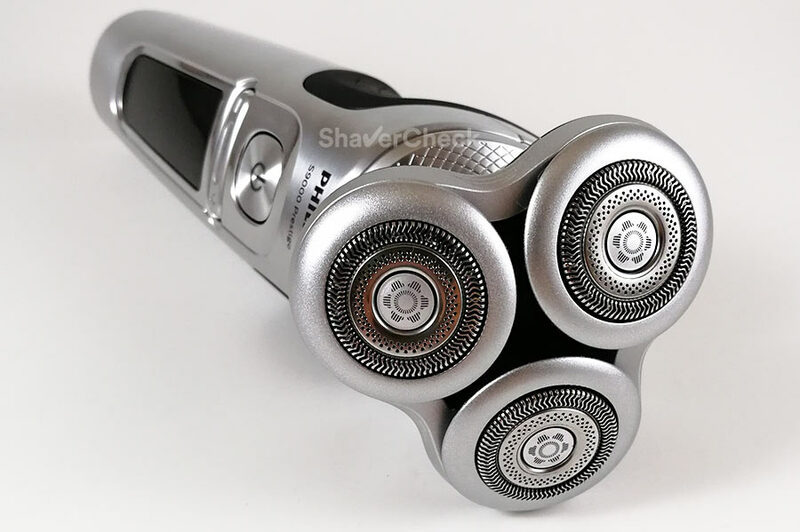 I would consider buying the foils & blades used by the newer Arc 5 shavers (they are backward compatible) when it comes the time to replace them. That’s a quick and less expensive upgrade in my opinion and you’ll get most of the benefits of the newer generation. Thanks for the review. it was helpful before purchasing. I’ve been using the shaver for 2 months now, and it’s the best shaver I’ve ever used. I have very sensitive and dry skin, and this is super comfortable even with 5 day growth. And also the closest shave I’ve had with a rotary. I for sure won’t be making use of Philips 90 day no quibble money back guarantee. It’s great. That’s great, thank you for taking the time to leave a comment. Really Wish they have a model with Cleaning Station. I mean part of the reason why I use Electric Shaver is I am lazy. ( Or I would have perform the Man’s ritual of Good Old Style Shave ) , reading the cleaning procedure it was more complicated than Foil. On a related note, any chance new Gillette Hybrid shaver gets a review. ( https://www.wired.com/story/gillette-new-heated-razor/ ) Not Electric Shaver, but it is kind of related. I totally agree with you. As for the Gillette Hybrid, I think it is a bit outside of the scope of this website since it’s basically a cartridge razor (that gets hot). But I might give it a try once it’s available in Europe. 1. I have the 9311 (still shaves great but makes a horrible screeching noise unless wettened with water first, even though I use the cleaning station a lot) and just wanted to confirm your earlier comment that the newer blades for the Prestige will indeed fit, albeit tightly, in the 9xxx heads. 2. The new blades seem more expensive so are they the entire shaving head that snaps into the body of the shaved or just the round blades? Thanks. Hoping to get the best of both worlds by just using the new Prestige blades in the 9311. 1. Yes, it is a tighter fit, but they will fit the Series 9000. 2. Just the three blade & guard pairs, so not the entire shaving head. It looks like Best Buy has an exclusive version of this shaver with the wireless charging pad and with a chrome finish. Thank you for your comment, Kevin. The SP9860/86 that comes with the charging pad has indeed a darker shade of silver, but the finish itself is still brushed/matte despite the Chrome part in the model name. Thanks for the correction. Like yourself, I’d much rather have a cleaning station for this shaver at this price point. I can’t believe even a stand isn’t included. I think I’ll stick with my Panasonic Arc5 as I’m still pretty happy with it. I just enjoy the tech aspect of these shavers quite a bit! You are welcome, Kevin. I feel the same way with the regards to the Prestige line. However, I think you made the right decision, there’s really no reason to upgrade and I’m also not entirely sure that this would be an upgrade coming from a Panasonic Arc 5. I’m getting ready for a new Norelco because the old one finally died, and due to delicate skin I think I will try the Prestige line. I do wish the wireless charger was a bit faster, but I have been wirelessly charging my smart phone for several years, and simply keeping it topped off works fine. I do not intend to buy a wireless charger for the shaver, but I do not see that as being problematic either way. So far as cleaning goes, I have used several flavors of Norelcos in the shower for years, used shaving gel regularly, and found it very simple and convenient to pop the shaver top and rinse the blades, top and base with hot shower water when I finished. Infrequently I added drop or 3 of liquid soap. Just another point of view, but personally I won’t miss the automatic cleaner at all along with the cleaning cartridges and extra time it takes me to use them. Also, thank you for the detailed review. I appreciated and enjoyed it. Thank you for your comment, Noel. Hope you’ll enjoy the Prestige if you decide to get one. Thanks for your detailed review which is for sure an in dept review on the latest shaver from Philips I’ve read on the net so far. I was about to purchase one to try but after reading your review I feel I should hold on to it. I’m also very disappointed to a so called Prestige shaver with this price tag that doesn’t come with a cleaning station. I’ve tried different type of shavers in my life, Philips, Braun, Panasonic and also Hitachi since I live in Japan. Some of old Hitachi G-Sword Rotary shavers do exactly the same job as the latest Panasonic 5 bladed shavers. 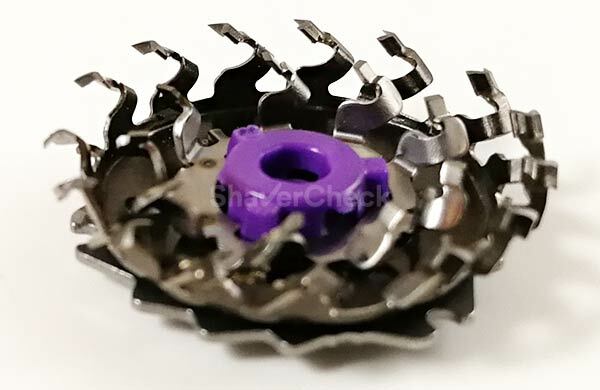 I personally started to stay away from Panasonic shavers since the replacement blades comes with a huge price tag and for the best performance, it’s required to replace the heads after pretty much 6 months of shaving on daily bases. Thank you for your comment. I think you made the right decision, at least for now as the price of the Prestige models is still very high. Unfortunately I haven’t got the chance to try those old Hitachi shavers and I am very intrigued by them, to say the least. I agree with you with regards to Panasonic replacement parts. I have however managed to sort of get around this. Precisely, after one year or so I also experience a drop in performance. When that happens I just use a spray cleaner & lubricant like Remington Shaver Saver or Braun spray cleaner. And these products work wonders and allow me to get quite a few more months of use from the blades before buying a new set (foils + blades). Thank you for this very thorough review, it is very interesting to read. Being a gadget man, I love those high end shavers with a high end finish and some with whistles and bells. Of course, the shave performance must be good as well. From that perspective, I am very satisfied with my Braun series 9 shaver. However, the Philips 9000 Prestige is very intriguing. What is your opinion on vary between the Braun foil shaver with the Philips rotary shaver day by day? Having used both quite extensively, I would personally take the Series 9 over the Prestige any day. I always get a closer, faster and more comfortable shave using the Series 9. And from my experience, I think most users would also prefer the Series 9. Unless you know from past experience that rotary shavers work really well for your skin, facial hair and shaving technique, I would say that the Series 9 is a better choice for most men. If you really want to give it a try, Philips does offer a money back, no questions asked guarantee in case you’re not satisfied with the product.